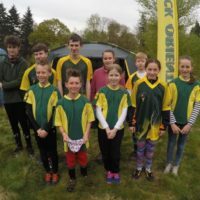 Our junior section has become a bigger an ever more important part of the club over the years. What schemes and resources are available to juniors? Though we only have one more event left this season (at Blackborough on Sat 18 May), there's still lots of action over the next two months, listed below. 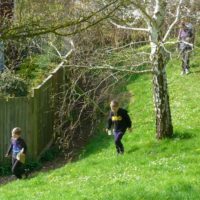 These include events very nearby in Devon, on the Mendips and also Dorset. We had a wonderful, sunny Spring day for the last JOG of the season at Blackbrook, primroses and blossom to be seen everywhere! Below is an index of all the Spring term events, with links to reviews and photographs. 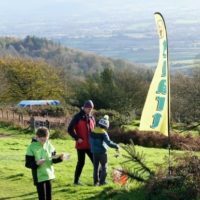 The Fox course is a training exercise for seniors and juniors from those who are on the verge of trying Light Green at senior events and upwards. Depending on how much of a challenge you want to give your runners, there are all sorts of imaginative possibilities. Please keep Sunday 7 April free in your diaries! 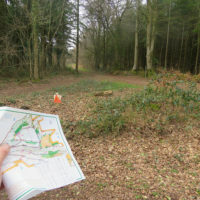 All juniors are invited to run for the club in a great area for orienteering, Savernake Forest in Wiltshire. 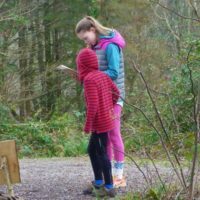 Tips for all those who have reached the level of Orange (or Badger course at JOG) i.e. 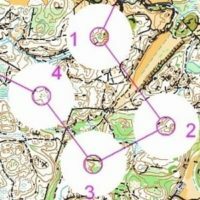 Some of those doing harder courses may often still need to master these techniques though. 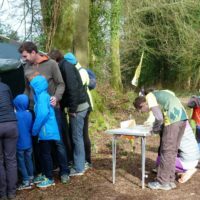 If you're a newcomer keen to improve, you’d like to keep your orienteering skills up to scratch or you're after a form of exercise that's both affordable and can be done at your own pace, why not head out to one of the Permanent Orienteering Courses available in the vicinity? Another weather warning….another JOG pending! Would it just be the superstitious that stayed away from such a poetically named venue in weather like Saturday's?